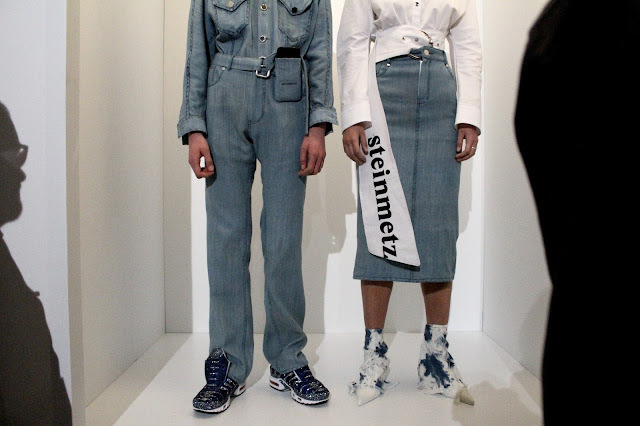 There is something ironic, isn’t there, about the fashion press raving about Faustine Steinmetz’s wondrous denim creations? Denim isn’t something unique to anyone in particular. 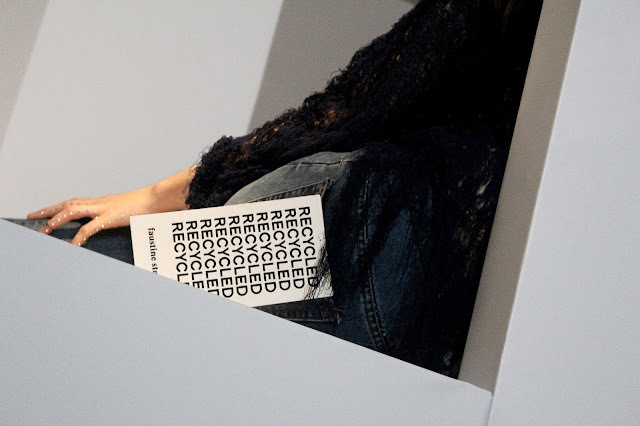 “No matter the gender, age, or origin, piece of clothing that everybody has had in their wardrobe at some point in their life,” as the show notes read as you entered the Tanks at the Tate Modern—the Topshop Show Space for London Fashion Week, in a adjacent alcove to the main catwalk space. 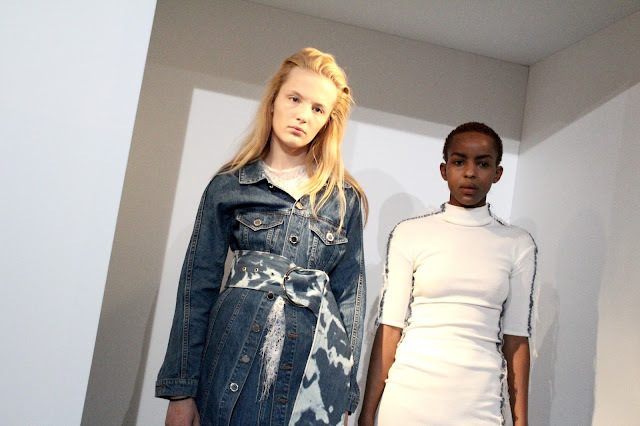 There is a banality to denim, but nothing about Faustine is banal. 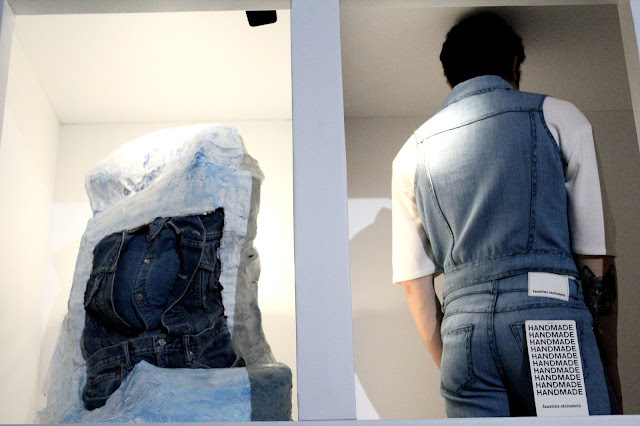 Her success has been sculpted by her interest in subverting perceptions of denim, her insightful approach to craft and acute attention to detail. 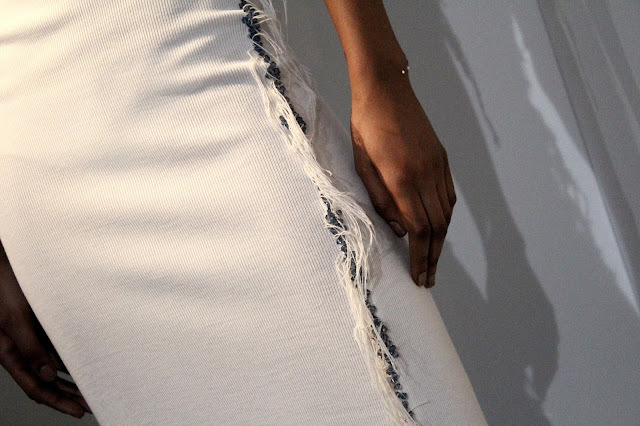 Stunningly, she manages to glorify and glamourise denim with couture-like methodology. The idea of gender, age and origin were particularly important to Faustine this season. She hails from France and runs her business from Seven Sisters in North London; her production has recently moved to Burkina Faso where it provides employment for local communities. Gender, age, origin—to a fashion writer—may seem passé. 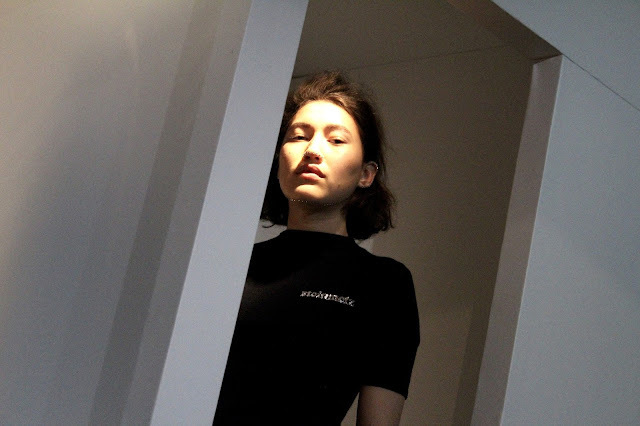 Fashion’s cannibalistic nature has already crucified the facets to each of those things in various ways, but there relevance has been reignited in the past year, in the current political climate. Fashion takes gender, age, and diversity and attempts to make it fashionable without any true meaning. But with the fallout post-Brexit, post-Trump—gender, age, origin have to be protected as never before. 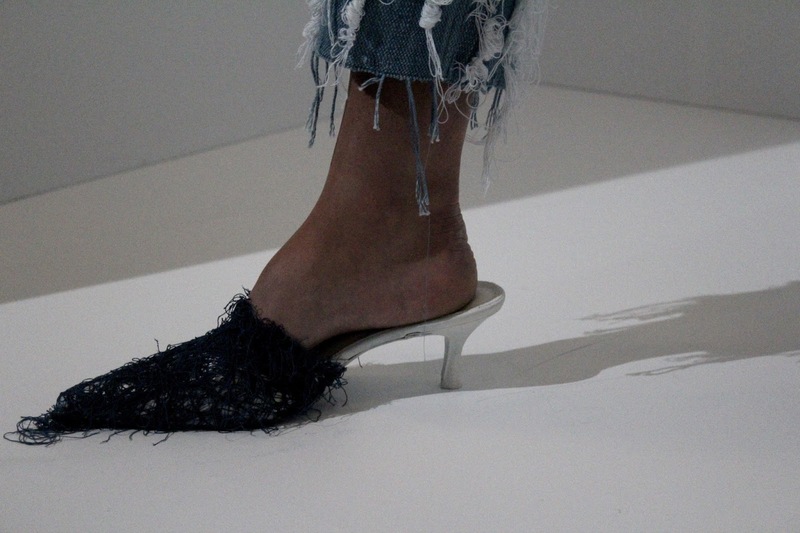 Denim is one of the last things that actually links people—how tragic yet interesting is that? 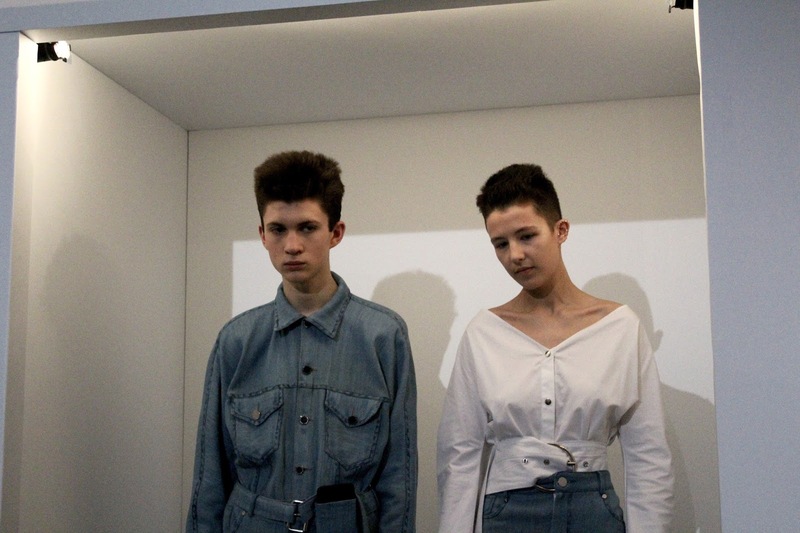 The familiarity of denim is partly where Faustine’s charm lies in the current political climate. 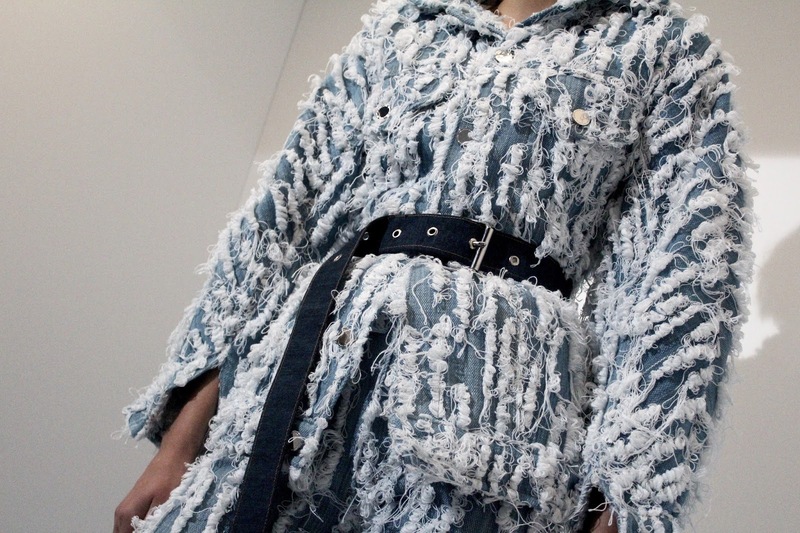 But the magic is to be found in the way she reconsiders the characteristics of denim and the fabric treatments and styling. One look featured acid-wash double-denim; another fused cotton yarn and handwoven denim, amounting to 300 hours of labour from one artisan to complete. 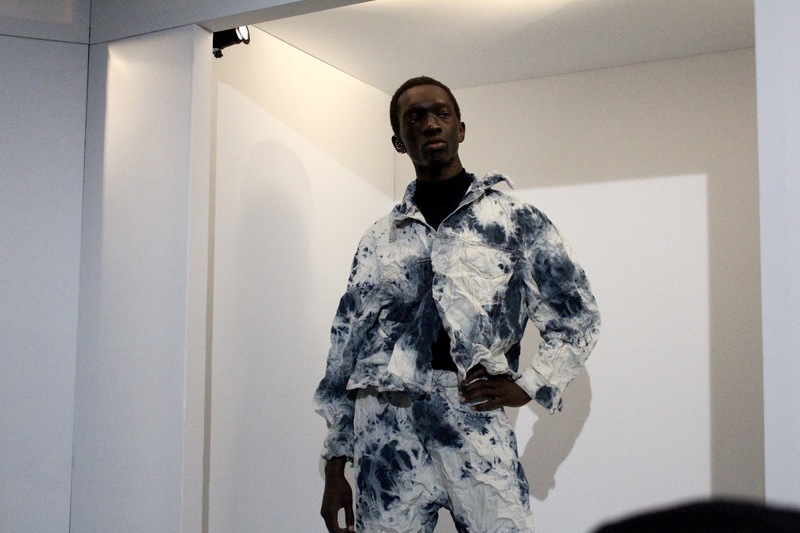 The use of Swarovski crystals to enhance the indigo denim was fascinating. 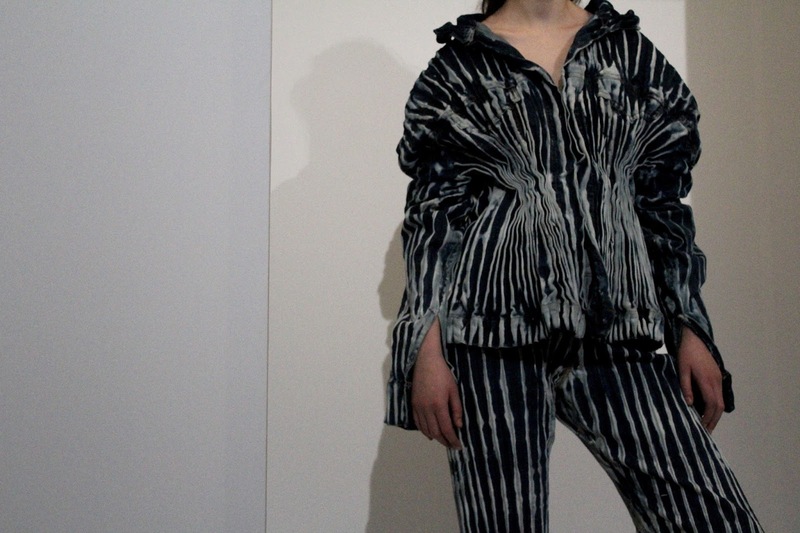 The individual pieces shimmered like the aftermath of a volcanic eruption. Cotton yarn is the other area Faustine is beginning to explore, cultivating another area of her design language. 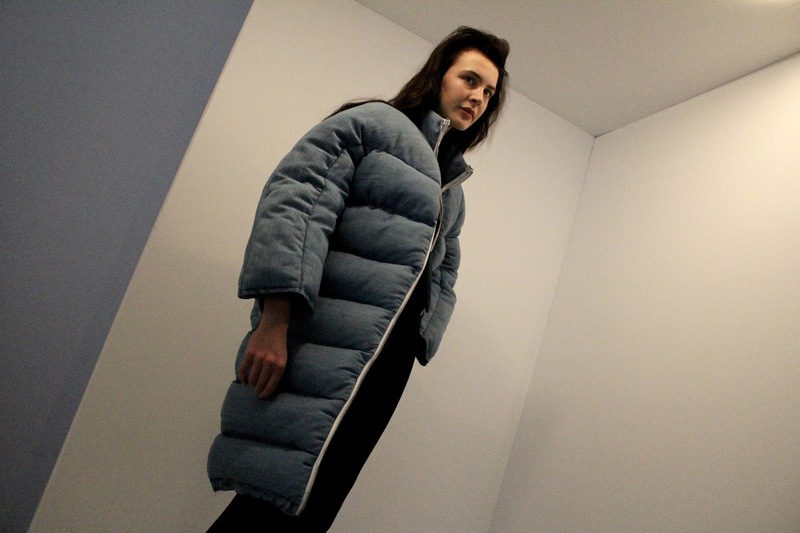 A cocoon-like puffer jacket—playing into the theme of protection and shielding—was fashioned from the fabric and was decidedly fashion forward, an expected entryway for new customers. 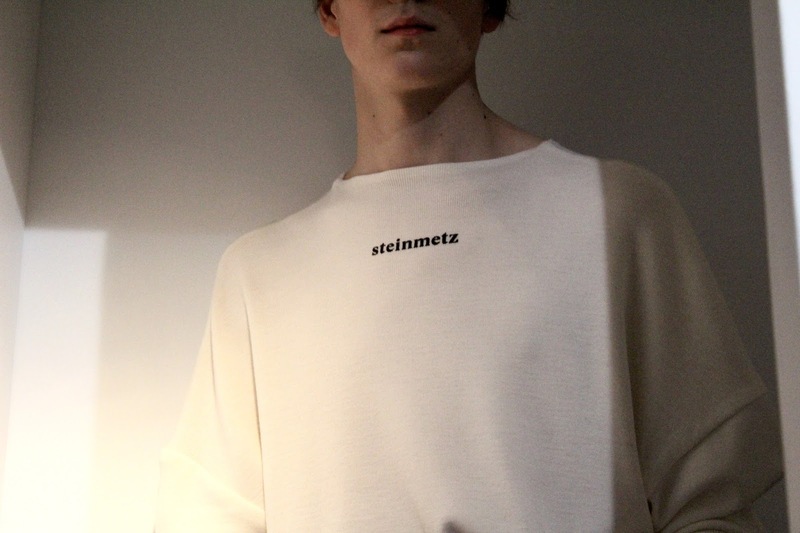 There was a sweater printed with ’Steinmetz’ on the front; there was a similar top in black with silver plating; a dress with Swarovski studs. Faustine gleefully ushered members of the press around her exhibition space, a gallery-esque layout with models encased in boxes, crafted by set designer Thomas Petherick. It was a pleasure, on the second day of London Fashion Week, the busiest day of the weekend, with copious shows and appointments, to lay witness to the development of a designer so singular, that she can intrigue using the most basic apparatus of all: denim and cotton yarn.